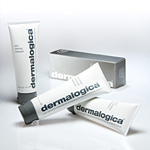 Enhance the daily skin care regimen with powerful, problem-solving Dermalogica Masques. Designed for use one to two times per week, each masque provides a dramatic boost to your skin. Whether you require super-deep cleansing or intensive hydration and moisture therapy, Dermalogica Masques are an ideal regimen supplement to help overcome skin concerns.